It’s not often that you get the chance to thank strangers for the help they’ve provided to you when you are in need. 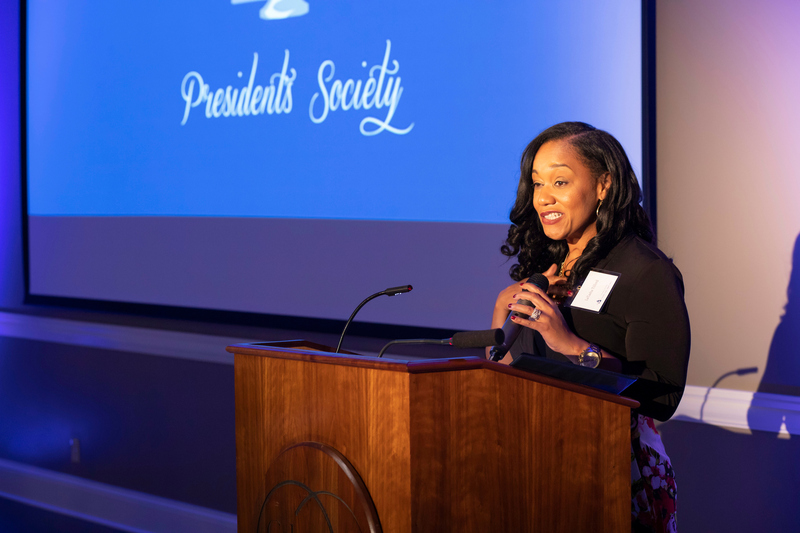 Columbia College student LaTasha Tilford was able to do just that Thursday evening in Dulany Hall, and it was one of many special moments during the President’s Society Annual Dinner. Tilford suffered an illness that required intensive-care hospitalization, and not long after, while dropping her daughter off to college in Houston, was stranded there because of the devastating effects of Hurricane Harvey. Because of her extended absence, she had to withdraw from Columbia College. Yet she persevered, re-enrolled and applied for scholarship aid. In April she was recognized as the recipient of the Assisting Women’s Achievement Scholarship and Barnhouse Memorial Scholarship, which allowed her to continue her studies. Her chance to thank those who made the scholarships possible came Thursday night. Tilford already has a job lined up at Hickman High School in Columbia upon graduation, and her persistence has inspired her mother, a registered nurse, to return to school herself with the goal of training future nurses upon graduation. 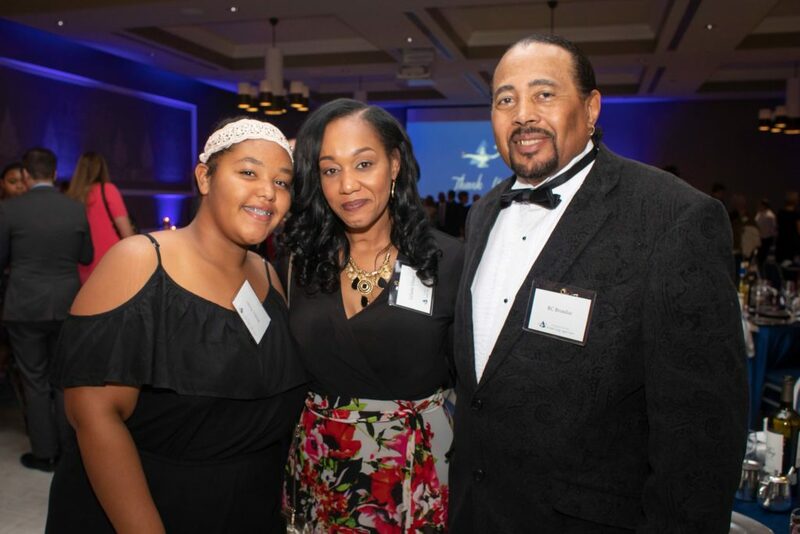 Stories like Tilford’s are not uncommon, and her ability to continue momentum toward a degree – she will graduate in December – is due in part to the generosity of many members of the audience who were in attendance that evening. 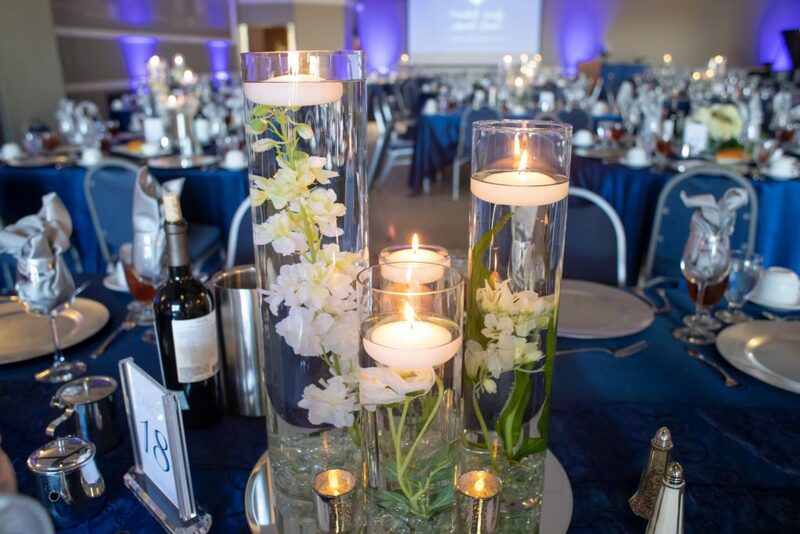 President’s Society’s members have each contributed lifetime gifts of $10,000 or more to the college. Their philanthropy sustains the legacy of the college, its students, the community and society. 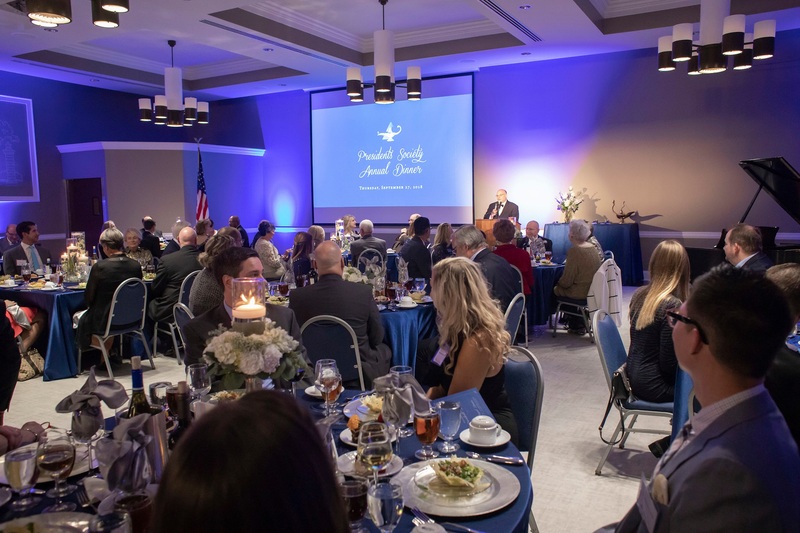 A total of 20 families and organizations were inducted into the President’s Society Thursday evening, with another 13 upgrading their membership through higher levels of giving. 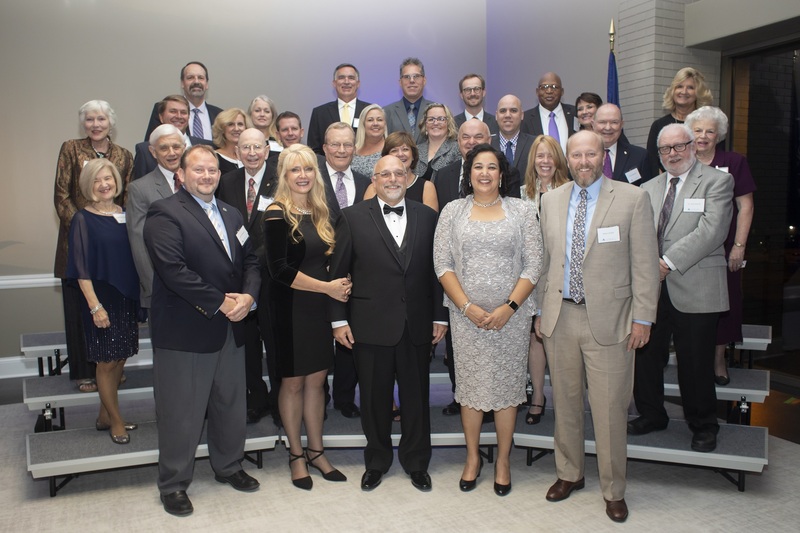 Columbia College President Dr. Scott Dalrymple thanked the new inductees for their support of the college – noting accomplishments such as the institution’s record-breaking fundraising year of $8.55 million in 2018; the Cougar athletic department winning the American Midwest Conference President’s Cup for the second time in as many years as CC has been eligible; and the implementation of TRUitionSM, an innovative non-traditional student-recruitment campaign that has eliminated all fees and included the price of textbooks into the cost of tuition. The program is especially beneficial for our students associated with the military, as they essentially can earn their degree at no cost to them thanks to our partnership with the U.S. Armed Forces. 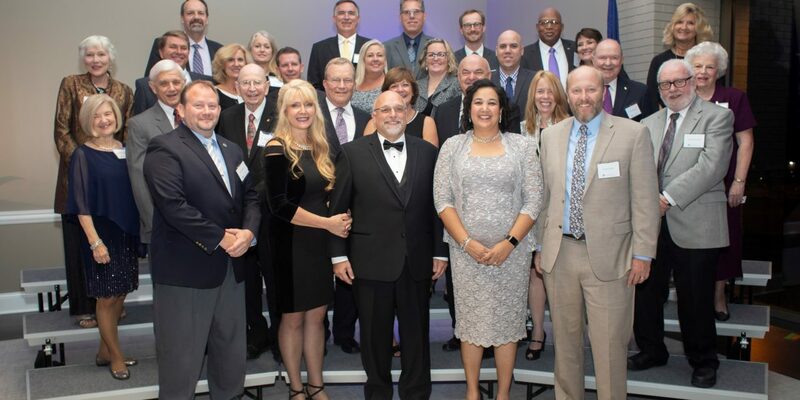 “The contributions by donors such as our President’s Society members make a positive difference in the lives of Columbia College students every day, and they ensure the institution continues to offer exemplary academic offerings,” said Dr. Dalrymple. One of the college’s newest President’s Society members, the Robert W. Plaster Foundation, was inducted a day after the announcement of its transformational, seven-figure gift to name the Robert W. Plaster School of Business, which will be located on the ground floor of New Hall. The evening was also highlighted by a trio of outstanding vocal performances from students of the School of Humanities, Arts, and Social Sciences. 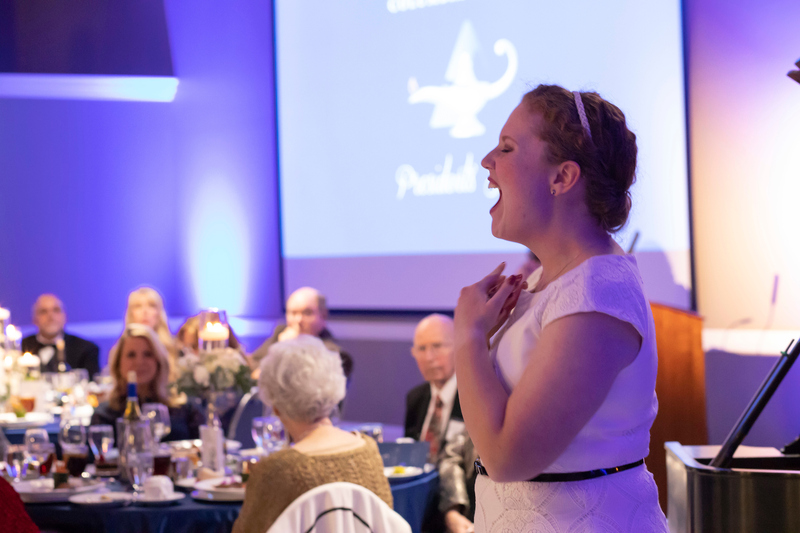 Senior Kaitlyn Landers sang “Smanie implacabili” from Mozart’s Così fan tutte; sophomore Preston Johnson sang “Marry Me a Little” from Stephen Sondheim’s musical Company; and senior Madi Mertz ended the segment with a captivating performance of “Je veux vivre” from Gounod’s Romeo and Juliet. For information on how to contribute to or start a scholarship, please contact the Columbia College Office of Development at (573) 875-7563, or visit https://my.ccis.edu/givenow. Below is a complete list of new and upgraded members of the President’s Society class of 2018. Robert W. Plaster Foundation, Inc.
Dee Ruthenberg* and Don Ruthenberg, Hon. ’95, Ph.D.
Beverly Murrell, M.D. * and Jerry Murrell, M.D. Dorothy Jungmeyer and Paul Jungmeyer, Ph.D.
Anne Stumpf and Mark Stumpf, Ed.D.